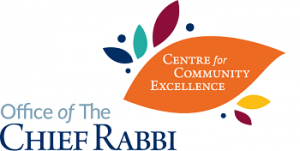 Rabbi Hyman wanted to bring an engaging personality into his shul to put a unique spin on this ShabbatUK, and going by the feedback received, he certainly succeeded by inviting Tribe Israel Rabbi Gideon Sylvester to speak across Ilford’s programme. As well as Rabbi Sylvester’s stimulating Torah insights, participants enjoyed an upbeat Shacharit service, a buffet lunch, a Seudah Shlishit and communal Havdalah to round things off. Some of the older youth had the opportunity to engage with the Rabbi Hyman and Rabbi Sylvester at a more intimate Friday night dinner hosted at Rabbi Hyman’s home.